As an independent company in the security sector we can enhance existing systems or design bespoke solutions to install whatever you need. Committed to deploying the optimum security system based on your requirements, our survey will enable us to do this in 3 simple steps. The survey is conducted by our security advisor, Keith Neilson, who has a Masters in Security Management and is only one of a few qualified in this country to do this type of work. He has over 25 years experience in the industry and was the Security Perimeter Manager for London Olympics 2012. Our approach is not limited to CCTV but looks at each element relating to your security. We guarantee that the cost of our solution will always be lower than the overall cost of your problem. On 25th May 2018 GDPR or General Data Protection Regulations come into force giving greater accountability to those companies who store, capture or process customer data. The ICO (Information Commissioners Office) have produced guidance on the storage and usage of CCTV data. As part of our survey, eTECT can ensure your systems are compliant with these guidelines. 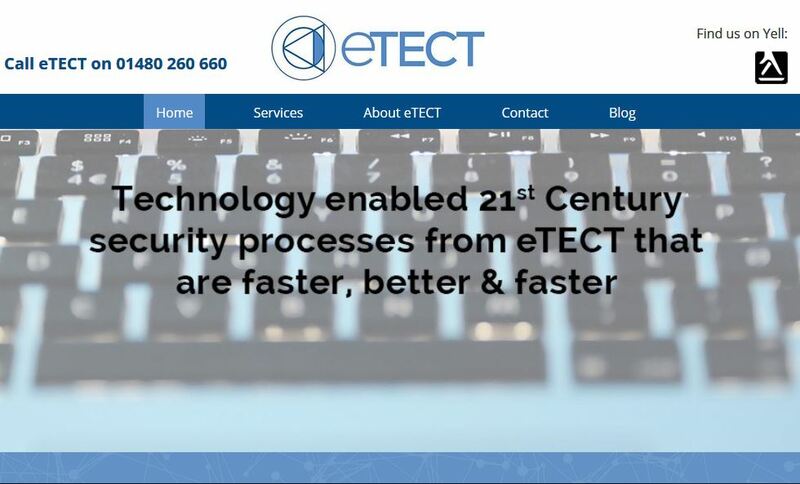 Call 01480 260 660 / 07557 910125 or email keith@etect.org to arrange a no obligation survey. “Keith conducted a full survey and review of our college security, which astutely pointed out weaknesses in our security and also advised us on other positive uses of CCTV.